With the IRS now processing tax refunds, McLarty Daniel Chrysler Dodge Jeep RAM FIAT of Springdale is proud to announce that TAX TIME is CAR TIME! For a limited time, we will double your down payment up to $2000 on ANY new vehicle on our lot! It's as easy as one-two-three: 1. Pick your vehicle from the list below! 2. Get pre-approved online! 3. 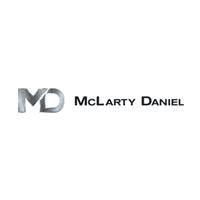 Tell your client advisor that you want McLarty Daniel to double your down payment!